Enhance your plan with customized features. Add features such as Enhanced voicemail or Account calling. Your line gets free calls to and from all members of a single account. The feature must be added to each line that wants to participate in account calling. Forward your calls to another phone number. Includes 2500 call forwarding minutes. Additional minutes are charged at $0.30/min. Make the most of your evening minutes with an earlier 5PM start time. See the names and numbers of callers on the phone's display and store 3 voicemail messages up to 3 minutes each in length. Messages stored up to 3 days. Store 35 messages up to 5 minutes each in length. Messages stored up to 10 days. Includes message waiting indicator and extended absence greeting. See the names and numbers of landline callers on the phone's display, even if the person is not in your address book. Get unlimited incoming local calls. Connect to the Internet on the go with our data add-ons, and do more! Data add-ons: Include data use in Canada only: 50 MB / 100 MB / 200 MB: $0.15/additional MB used. 500 MB / 750 MB: $0.05/additional MB used. 1 GB: $0.02/additional MB used. Data charges while roaming: $1/MB in the U.S.. Data charges while roaming: $1/MB in the U.S. Text and save with unlimited texting options and U.S. and international texts. Includes MMS sent from Canada to a Canadian wireless number only. Includes texts sent from Canada to a Canadian wireless number only. Premium texts excluded. Canada/U.S. messaging add-ons and U.S. & International text messaging add-ons: Plans starting from $22/month include text messages sent from Canada to Canadian and international wireless numbers. $0.20/additional sent text to Canada. $0.25/additional sent text to the U.S. $0.35/additional sent text internationally. 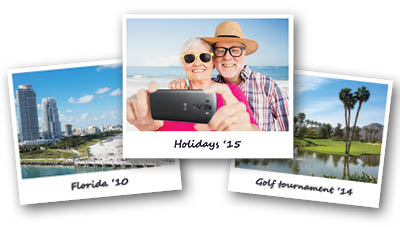 Picture and video messages require data, and are only available in select wireless plans. Messages sent while roaming not included. Premium texts excluded. Pay per use overage rates apply once bundle is consumed. Save with local and long distance minute bundles. Are you looking for a wireless plan that you can use seamlessly while in Canada or the U.S? Purchasing a Travel Pack makes using your phone for voice, texting, email or browsing while travelling more affordable than ever. For the occasional international traveller who wants the option to call and text. Just make a one-time purchase to receive a bucket of minutes, text messages and data to use while you are travelling internationally. The Travel Pack and overage rates are applicable for one month from the date of purchase. Pay-per-use rates apply when you are travelling to zone 1 without a Travel pack: $1.45/minute, $0.75/text message, $1.00/MB. 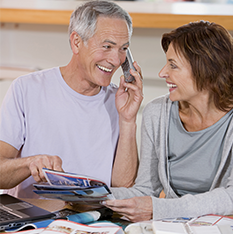 Shared travel packs can only apply to a shared Couples or Family plan on the same account. Pay-per-use rates apply when you are travelling to zone 1 without a Travel pack: $1.45/minute, $0.75/text message, $1/MB. Pay-per-use rates apply when you are travelling to zone 2 without a Travel pack: $2/minute, $0.75/text message, $10/MB. Pay-per-use rates apply when you are travelling to zone 3 without a Travel pack: $3/minute, $0.75/text message, $15/MB. Pay-per-use rates apply when you are travelling to zone 4 without a Travel pack: $4/minute, $0.75/text message, $15/MB. There are no packages available in Premium destinations. To know which zone your country of destination belongs to, check our list of destinations. Roaming minutes: Minutes must be used within 1 month, including the date of purchase. Roaming text messages: Sent text messages must be used within 1 month, including the date of purchase. Received texts are free. Roaming data: Data must be used within 1 month, including the date of purchase. Roaming overage: Indicated overage rate per minute, per sent text message and per MB of data are valid for 1 month, including the date of purchase of Travel pack, after which point regular rates apply. Puerto Rico and the U.S. Virgin Islands are included in ZONE 1 (U.S.) and not in ZONE 3 (Asia, Caribbean, Latin America & Oceania). Roaming Travel Packs and other add-ons will not apply to usage while roaming on a cruise ship and airplane or in Cuba, Lebanon, French Polynesia and Palau. This usage will be charged at the applicable pay-per-use rates. *Calls to toll-free numbers, i.e. : 1-800, 1-888 and others, may incur airtime and long distance charges applied by the local carrier, over and above any applicable pay-per-use roaming charges; this usage is not covered by any roaming voice Add-ons. The long distance charge corresponds to a connection fee applied by the local carrier used to place the call. Travel packs and add-ons will not apply to usage while roaming on a cruise ship and airplane or in Cuba, French Polynesia, Lebanon, and Palau. This usage will be charged at the applicable pay-per-use rates. When on a cruise ship, near land or porting, your device may be picked up by a land based carrier’s network and subsequent pay-per-use rate will apply. Can I receive premium short-code messages? Yes, short-codes are supported on our network. Short-codes are usually around 5-digit long numbers made specifically for SMS (text) messages. Charges for using short-codes are the same as standard text messaging rates. Short-codes messages are usually used for services such as entering TV contests or checking bank account balances for example. Extra charges might occur. When you are already on a call, call waiting alerts you of a second call with a beep. Call waiting may be included your plan, or you may want to add the feature for a monthly charge. Call waiting uses airtime and other applicable charges such as long distance may apply twice for both calls: the first call, as well as the second incoming call. Call forwarding allows you to direct calls to another telephone number. The calls can be automatically forwarded or they can be forwarded if unavailable. A per minute rate applies to each call. To learn more about the call forwarding rates, please contact customer care. Conference calling (also called group calling) allows you to have a conference call with other parties at different numbers; you can initiate calls to parties or add another party to an established call. A per minute rate applies to each call included in the conference call.